Slow, subtle romances are my favourite kind. I still need to try something by Marillier and this book is definitely shouting 'buy me'. I can't wait to give it a shot one day. :) Fantastic review as always! A beautiful review, Keertana! I've never heard of the author before and I never really liked fairytale re-tellings because they the endings are always obvious but I'll definitely be on the lookout for this! With the way you describe the setting and the folklore, I am already dying to read this. Plus, the curse of evil. YES. Beauty and the Beast is my absolute favorite fairy tale, so even though this is a more loose interpretation of it, it's still something I know I have to read! Plus a slow, subtle romance between flawed characters? Best. Thing. Ever. Thanks so much for putting this book on my radar Keertana, it's new to me and is going on my list for sure! A perfect romance! Awesome! I have heard so many wonderful things about this author and I am ashamed that I haven't read her yet! Keertana, I am so glad that you have become a die-hard Marillier fan! Keep reading and enjoying her works! I really enjoyed Heart's Blood, although it is probably my least favorite of her books...You need to read Daughter of the Forest! One nitpicky thing: it sounds as though the Beauty and the Beast you're using as the basis of comparison for Heart's Blood is the Disney film version. The Disney film version is VERY different from the original short story from the 1700s. The Disney version is definitely dumbed-down for a younger audience. A better basis of comparison would be Beaumont's original story, where the Beast is physically ugly but still very much a gentleman and there are no talking objects. Just wanted to bring this up because I did my thesis on Beauty and the Beast and so am very familiar with the tale and all of its renditions. Although I do agree with what you said that Marillier definitely does go with the basic premise and really turn it into her own story. Thanks a lot! As if I need yet another reason to buy a new book. Now, I have to go purchase/borrow/steal/beat some one down to get get this book so that I can feel a sliver of happiness in my life. I now crave to read this. I recently read Shadowfell and fell in love and I'm secretly happy that I have something else of hers to add to my list. But don't tell anybody I said that. This is one of the books that made Juliet Marillier my favourite author too. I love nearly every book she has written. Wildwood Dancing is probably my favourite book of hers! I'm still making my way through her Sevenwaters series but I've really enjoyed the ones I've read so far. And I'm excited to give Shadowfell a go! Ahhhhhhhhh *waves fan flag* I absolutely adore Marillier's writing style and her books <3 This is one of my favorites work from her, because Beauty and the beast is my favorite fairytale! She made such a great story around it. I don't know that it is, but everything she writes is magical. Oh wow, this sounds amazing. I recently read her YA novel Shadowfell and it was awesome, so I need to buy this one asap! 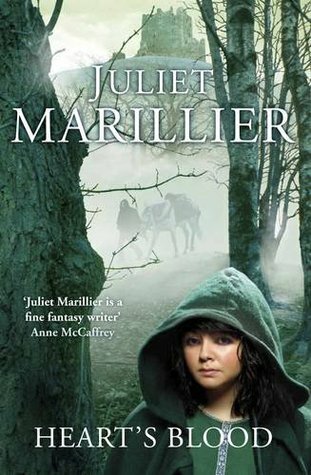 I really need to read a Juliet Marillier book. She's one of those authors you hear so much about but never actually get around to reading. I have a copy of Wildwood Dancing around somewhere and I hear that is her best, so I will probably start with that one when I get a chance. Glad you enjoyed this book so much. I love wonderful reading experiences like these. Great review, Keertana. Awesome review, Keertana! I still remember your last Marillier review (though I forgot the title of the book) which was just wonderful even though the rating wasn't high enough for me. But after reading this, I'm now definitely looking out for her other works. Oh no, another one going on my must-read list! Your review completely convinced me and I cant wait to be drawn into the beauty that is this book. It sounds epic! i hope you won't come after me with a knife, but I haven't read a single Marillier book... YET. I've developed a taste for high fantasy lately, and I blame it all on GRaceling and Fire. So after finishing Seraphina (OMG, SERAPHINA, I'M IN LOVE!) and reading Bitterblue, I'll definitely pick one up. I avoid fairy tale retellings at all costs, but if you remember to, drop me a note with your favorite and I'll choose that one. And btw, Fire was amazing. I think I prefer Graceling, but then again, I thing Brigan is much more attractive than Po, or simply more my type, so that balances things out. Pretty new header!! Yes, I'm sorry, I'm just now getting to go through my reader after days of dark and clean up. SO excited about Heart's Blood though. This is getting top priority for me as far as JM goes after I finish Child of the Prophecy. Wow. A fantastic review! I got chills thinking about the possibility of reading this book soon! I LOVE fairytale retellings. And after reading the Sevenwaters series, I trust this author so much. She is everything you say: "Marillier has a distinct style of writing stories about kind, but fierce, female protagonists and tortured romantic interests, creating beautiful love stories all against a backdrop of fantastical imagination." LOVE THAT sentence. I've been in a reading rut of books that have depressed me, and may go get this immediately. Did you know you can create short urls with OUO and receive dollars from every visit to your shortened links.